The project was founded twelve years ago by Nev Borradaile, who took it from small beginnings (meeting weekly to support and provide some much-needed fun for thirty orphans in desperate circumstances) through to having a permanent “Homework Centre”, located at a church in the poorest township of the city. The centre offered caring support to many of the neediest orphaned children in the township. They are given nutritious food, helped academically by a trained teacher to pass their O levels (some even manage A levels and tertiary courses) and are taught skills like gardening and sewing, which will enable them to generate money in the future. 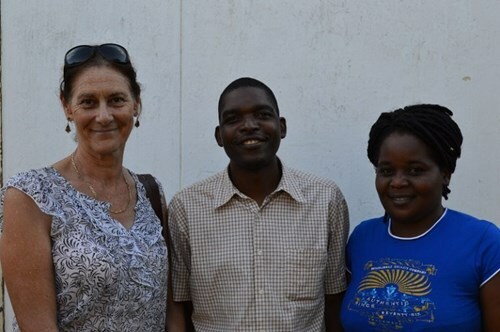 Sue and Les, who are helping with English (the language of education in Zimbabwe and such a struggle for these children) have both been willing to take on some tutoring, and June has been spending time in training them – this will be such a blessing to the children! There is another financial crisis in Zimbabwe at the moment, as the country is running out of hard currency (US Dollars). This trickles down to us and affects the ability of our poorest families to pay school fees. 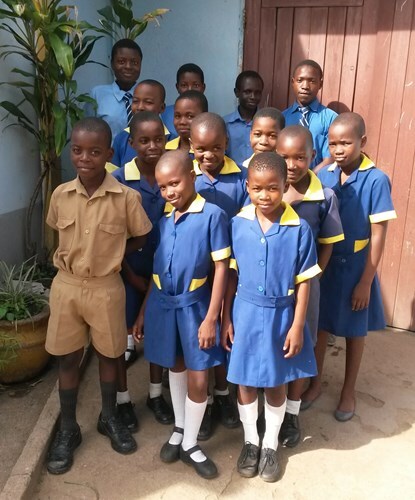 We have found out that two of our boys – Tafadzwa and Tadiwa, have been dressing in their school uniforms and sitting outside the gates of their school until home time, when they walk along to our Homework Centre. We give a term’s grace in such situations, and hope to find some way of helping their struggling carer to find something to trade in order to get some money. There are no jobs to be had, given that unemployment is at unbelievable levels (85%). This term we hope to visit Mutanda Primary school and take in a few more needy orphans. At the moment our students are predominantly female, so we’re hoping to find a few more boys. Stand by for more news as June and the team extend their task of serving the neediest orphans of Mutare…..